This Pinot Noir has a ripe and generous bouquet with bright red cherry and raspberry fruit that is fresh and well-defined. Medium weight and well-balanced, with toasty oak integrated with fruit, supported by clean and focused acidity. Grapes for this wine come from vines that average 37 years in age, planted on an biodynamically-farmed 0.95ha site with clay-limestone soils. All grapes are hand-harvested followed by a second hand-sorting at the winery before being destemmed. After fermentation using native yeasts, the wine is aged in oak (25% new) for 14 to 18 months. The wine is bottled without fining or filtration. 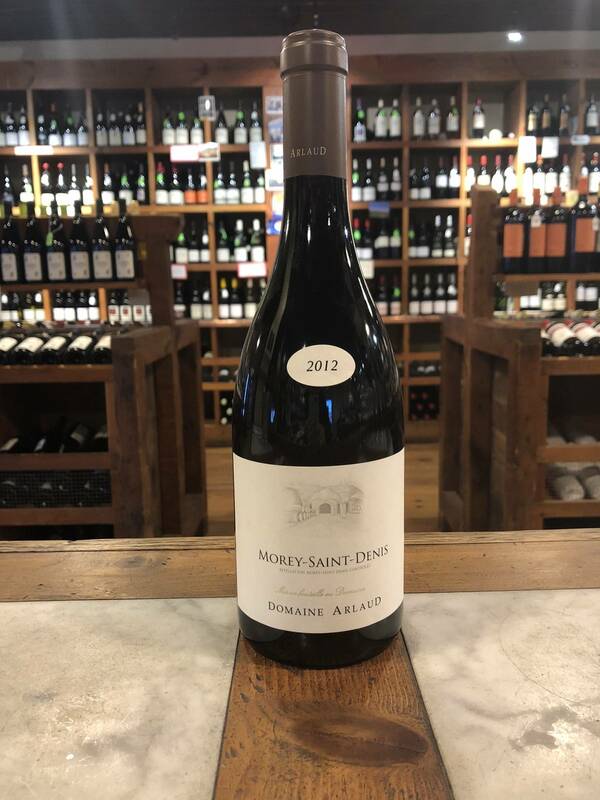 At 100 hectares, the Morey-Saint-Denis appellation is one of the smallest in Cote de Nuits. Nevertheless there are twenty 1er Crus and five Grands Crus. Domaine Arlaud began when Joseph Arlaud (originally Ardechois) met Renée Amiot (a burgundian woman) during the war. The wedding presents contained vineyards of which Joseph extended in 1949. He also worked as nursery gardener until 1970. From 1970, he spent all his time working in the vines and making wine. In 1966, he acquired the old “Grenier à sel” of Nuits Saint Georges for the rearing of the wines. This wonderful 14th century cellar became the estate’s emblem that still today is seen on our labels. Hervé Arlaud succeeded his father in 1982, and extended the holdings of the estate with new vineyards. He did alone the wine grower’s work and developed bottle sales. Herve worked with his three children from 2004 to 2012. Involved since 1997, Cyprien is running now by himself the estate.